Following the successful design of the FDH logo a few years back, Farah asked Nectarine to do a make-over on her website. After talking to her marketing specialist who thought that her video-based homepage wasn’t working very well for new visitors to her site, Farah decided to revamp. Nectarine helped Farah with a solution to the problem and designed and created two home pages. One for non-members and one for members. 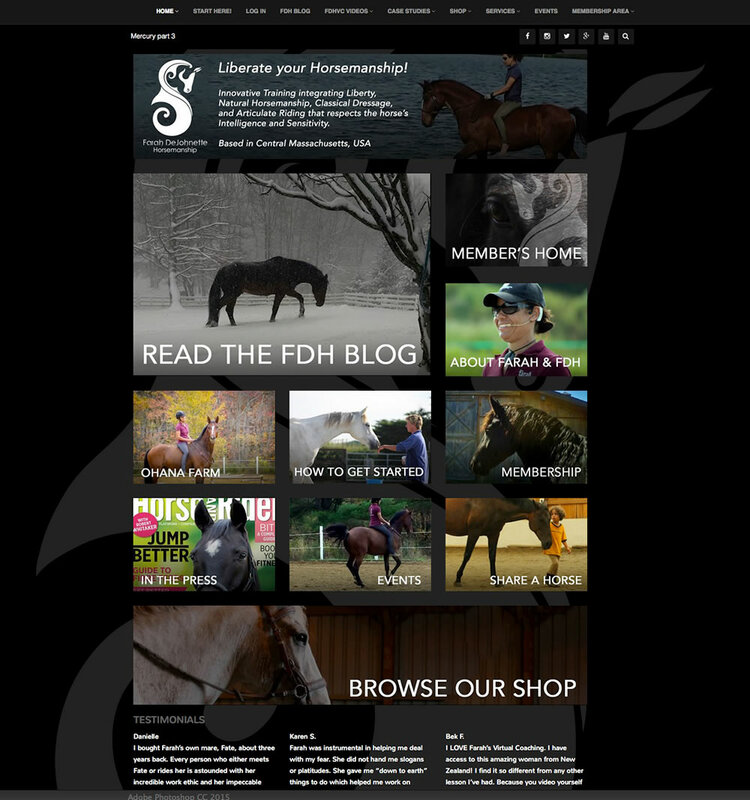 The default non-members page has access to information including the FDH Blog, about Farah DeJohnette Horsemanship, about home-base Ohana Farm, how to get started and how to become a member. 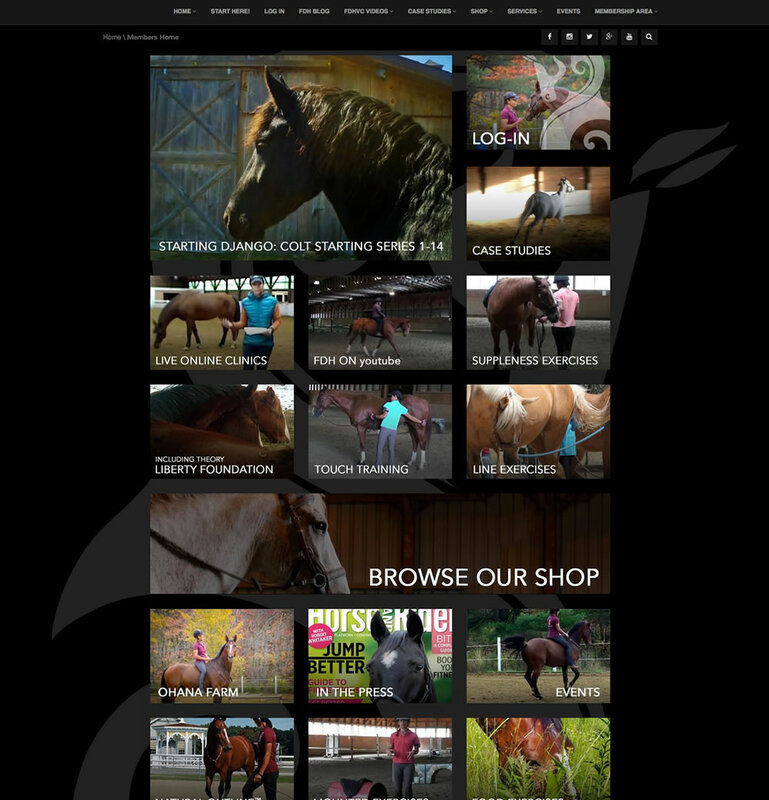 The members’ page jumps right into access to video content including Colt Starting, Case Studies and Live Online Clinics. The pages are image-based to create an artistic look and help viewers choose what to watch or read visually. 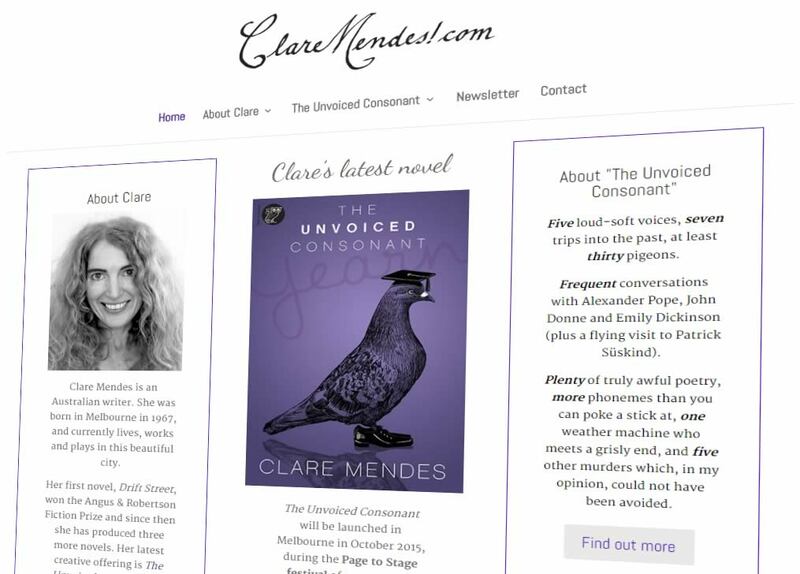 Nectarine also worked on other parts of the website which needed work to fit in with the new look.